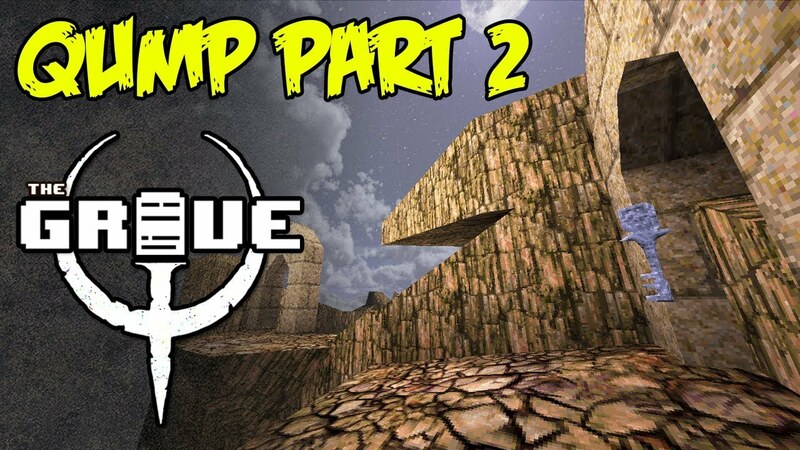 This video is the 2nd and final part of the Quake Upstart Mapping Project, featuring the next 5 maps of the 10 that are available. This video features a good variety of different style maps, including one super strange one that I wasn't expecting! Very much worth checking out! I never was one of the guys who like playthroughs on youtube or youtubers. But today i caught myself having a meal while seeing your weekly Grave episode. Nice review also. Though, when i played it, i didn't like the last map. Beginning - Pritchard <- Great map, love it as a hub, wish there would be npcs to talk to. QUMP somehow feels to me like it could tell a little story, but it keeps that for itself. Bloody Sun - Danzadan / NewHouse <- Not my taste. Too monotone. I like ID1 style maps but this was too much for me. Manchester's Leftovers - Daya <- loved it! Had a good post apoclyptic scifi horror map. Shadows of Our Forgotten Ancestors - Naitelveni <- Instant classic for me. Stygian Waterways - Vingal <- could have used an automap feature like doom had it. Got lost several times, but managed to get the SNG. The Dog Prison - Kres <- Strange map with inconsistent architecture styles. Liked it because of that and the endfight. I died much more often on skill 3 than i think everybody else ever died in Quake! The Three Towers of Tremendous Terror and Turmoil - Brassbite <- again, this was a bit monotone for me. I like oldschool forts and castles but this didn't fit my taste. The Real /vr/ Experience - Spud <- best map ever. Only knew about it through your video. Didn't play an of the other maps yet. Sorry TheKillingJoke I didn't realize anyone had replied to my post! I'm really glad you like the show. I agree with you on most of your points about the maps. That's too bad you didn't like Bloody Sun, I thought it was a stand out map! What did you think of the rest of them? No need to apologize! This ist the Internet. Hm... I somehow got Stuck in playing Death 4 Told with Back to Saturn X and several other Doom maps. Monday i can start to play Quake again, then i can say Something about the Rest of the maps. But regardless of that i hope they so more maps, maybe even another qump Episode. - Had a not so nice starting point, but the design of it had its logic. The Arena-fight on the tower was cruel and hard, which i really appreciate. I love such tense situations. And i liked it, that the lightning gun was in the level, even if i saved it for later and ended up exiting the map without using it. I like the map a lot. It's just too short :-) As for the architecture, as with many map starters it felt a little strange, but this time in a good way. A bit scrag-heavy. For my taste the enemies where placed very well. Hell, the tower-fight was cool! I think i go and replay this map in a few days. - The large and open levels in ID style are not what i like. The architecture seemed here and there a little too hasty, like the big centerpool with the narrow staircase and the Vore in it. But i think that was because the map is a great Cathedral with a lot of room. But asmaller Cathdral would have been also ok for me. The fights where ok, my personal highlight was the fight in the cathedrals roof, at the top of the level. I collected about 5 Voreballs and let them crash into a Demon, that was tremendously funny ( it's a little game you can do here and there in Quake maps). All in all a good first level, especially with such a scale! (With heavy german accent) Oi font sem to make morr mabs! Agreed on pretty much all counts! The Citadel of Pain has a great look and the tower fight was really cool! It really could have ended there! The scrag part was a bit odd and the little piece at the end where the exit was felt a little anticlimactic due to the awesome tower fight, but regardless this was a good fun map! Sunken Cathedral is a really good starter map that shows promise. Just need a little more time in the oven for detailing with brushes and textures. Cyber Crime Expert in India. I also Agreed on pretty much all counts! Dargah in Kapasan, Kapasan Dargah, Dargah in Chittorgarh. It's just a thought, but I was just wondering if you had ever considered working your vocal magic on producing a "Half Life 2 Grave"? As a single player FPS dating back some years now it would seem to suit the format and I'm sure you could find plenty of maps from the various map jams and the RTSL (Run, shoot, think, live) site.as raw material. Daz Weeks / Custom Gamer did a few good reviews but sadly that well seems to have dried up somewhat lately. I would do it myself but as I'm probably the most boring man on the planet I wouldn't subject anyone to my dulcet tones, but if I can help please let me know. So what do you say? Last edited by Mr.Burns; 05-03-2018, 11:38 AM.